CLIFFORD TOWNSHIP PA — As the heavy tones of drums mystically blend with the lyrical flute sounds whistling through the air, music will help bring shared stories of yesteryear and local history together. On Saturday and Sunday April 11th and 12th, the Clifford Township Historical Society (CTHS) will present an all-family event: “The Native American Story of the Dugout Canoe.” The free-admission program will be held in the gym of the Museum of Local History, located in the Clifford Community Center, 119 Cemetery Street, in Clifford PA. Free refreshments – similar to those that might have been eaten by local tribes — will be served, and Native American items will also be available for sale. And at 1:00 each afternoon, families can have their photos taken with Frank Little Bear by Chrystal Photography ($2 ea.). As told by Native American Frank Little Bear of the Cree Nation Tribe, visitors can learn the tale firsthand of how a three-century old canoe came to rest in Clifford Township, how the Native Americans of that era lived their lives, and how this area’s life has evolved since then. 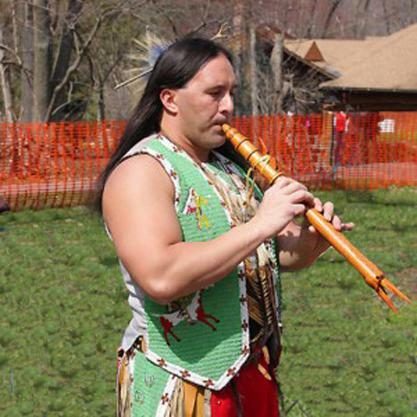 Beginning at 2:00pm, Little Bear will dramatically present historical stories and perform — through music, dance, costume, and inter-active narrative — the story of the canoe and the Native Americans who lived in this area long ago. Frank Little Bear is a renowned lecturer of Native American culture and is also a musician and artist. He has been written about nationally and internationally, has appeared on TV and lectured on radio, and is recognized by numerous universities, colleges, and historical societies. 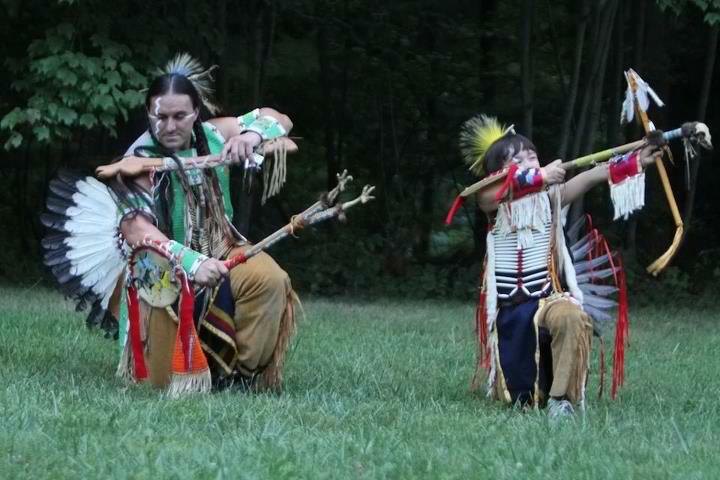 Little Bear has also furthered his knowledge of other indigenous tribes and their ancestral spirituality throughout the US, Canada, and South America. Through his studies and devoting his ongoing life’s work to researching the histories and customs of First Nation peoples, Little Bear has dedicated himself to educating audiences on the diverse social, traditional, and contemporary lifestyles of indigenous people both past and present. This exciting weekend-long event will also kick-off the CTHS’s newest addition to the Museum: The 10-minute voice-over by Little Bear that will be installed with the canoe display. Since the semi-sunken canoe was first discovered in Mud Pond (on private property in the far northwest corner of Clifford Township) in 1976 and donated to the Society by Jim and Valerie Cole in 2006, its quiet story has continued to be a source of curiosity, interest, and preservation to those interested in local history. The CTHS initially displayed the canoe at the Chautauqua held in the summer of 2008. And after several years of trying to discern its origin and history, the canoe found a home in the Museum of Local History. It became a major focal point of the museum when artist Michelle Jaconia McLain painted the background mural as part of its permanent display. Through McLain’s painstaking research into the Native American’s way of life, the beautifully colored mural came to depict countless parts of the Native American’s existence. And since there was no written language, and minimal evidence exists of these people from centuries ago, little is known about the actual day-to-day activities of the local Native American tribes. Through Little Bear’s presentation, he will help visitors gain a first-hand perspective and a better understanding of some of this region’s wonderful history.